Carlisle ATV, UTV and Quad Tires at Pete’s Tire Barns. 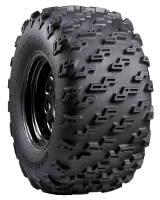 Carlisle Tire makes ATV Tires, UTV Tires and Quad Tires for all different brands and models of off road vehicles. They build tires for every application and for most every terrain. Whether you need a tire for mud, trail or turf, Carlisle Tire makes it. Carlisle builds high quality tires that are designed for reliable performance and long tire life. 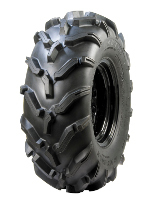 They offer some of the most innovative and sought after tires for all terrain vehicles and other off-road equipment. Carlisle tire has a proven track record of producing tires that exceed riders expectations of performance and quality. Carlisle offers tires for mud and trail riding, ranch and farm work and turf and golf course use. Purpose built tread patterns that offer a combination of traction and load carrying capacity. A full line of tires designed to tear through the woods and tires designed not to tear up turf or grass and everything in between.